Definitive Guide to Lead Nurturing - SalesChat.co : Live Chat Operators for Business Sales And Support. An exploration on how Lead Nurturing helps the business in terms of the company growth. Long gone the days when people rely only on the consultation for buying a product. Nowadays, people are cautious about their desired product. A client needs reliability, effectiveness, and flexibility throughout the process of dealing and purchasing. A good way of dealing leaves an impressive mark on the client’s mind. The story doesn’t end after a single acquisition. The real challenge is to make clients as their regular customers as well as to remain in touch with the other clients who don’t show any possession yet. In short, a company has to nurture its leads. Lead Nurturing is the effective way of communicating with the clients at each step of the buyers’ journey to validate the process of merchandising. A company remains in touch with the clients through their marketing plans even that client become their paying customers. The impressive way to nurture the leads is personalization, timely checkouts, starting Additional Skills Acquisition Program (ASAP), and creating contents. In order to increase the leads, it is necessary to develop an effective inbound marketing strategy. It is observed that all of the leads may not show the instant purchase. According to the Glenister research, 50% of the leads are interested but yet not ready to buy. And according to the MarketingSherpa, 79% of the leads never convert into sales. How can you imagine a reliable bonding with your clients even if you are not sincerely listening to them? How does it feel when you don’t care how people are feeling? What an impression will it leave on the leads? That demands some skills, a marketer has to develop to satisfy his customer. Among these skills, Empathy is the most important selling ability that creates the emotional bond between the marketer and clients. It refers to the behavior of a vendor towards its customer. How deeply he listens to his clients and how emotionally he is involved in fulfilling the needs of the customers and turning these demands into reality is sales empathy. The great way to become empathetic is to imagine yourself in place of your leads. It helps the marketer to understand the position of clients. But during all the conversation, a vendor must not pass instant response or make the sudden judgment. The best practice for that is to assume yourself as a buyer. This will allow you to gradually change the mind of your client or will help you to understand your customer’s needs. Allowing yourself to create a pause for response is also a best practice to become empathetic. Along with it, drive yourself according to the positive emotions instead of the negative ones. Keeping in mind all these things, it is the time to draw the conclusion of the whole conversation with the client. It will give a marketer a helping hand to plan the next strategy. In the psychology of selling, Reciprocity refers to a state in which you are kind and humble towards others as they are nice to you. In ancient times, when Kings visited other States, they used to present valuable gifts to that State. It doesn’t mean that it was useless or wastage of their assets but it would prove fruitful in the future for them. In business, reciprocity has the same meaning. If you present some gifts or product samples along with a short description of that product to your leads, it will leave a positive impression on their mind. They will remember this humble gesture and may show some purchase in the future. It may also happen that those leads will tell others about your act and they show interest and do direct purchase. It just not about the distributing gifts among your clients, it can have more options to show care towards your clients. What about wishing some festivals to your leads through Email or call? What about sending some contents of your newly launched product? These all are the practices that show your humble response towards your leads. When you start showing nice regular response towards the customers, it will not take a long time for them to turn themselves into your regular buyers. The lead Nurturing demands strong relationship that can’t build without establishing trust. It is such type of a bond between marketer and leads that is beyond the purpose of when they will ready for purchase. Establishing such type of bond and trust requires a complete strategy that involves delivering free information, training, and product to create a real connection. Trust can easily be build by providing relevant and useful information to leads. And once the trust is established, leads will be ready for purchase. It requires knowing your leads in a good manner. It demands to share the information according to the lead’s interest. If you blindly share the information, it can cause loss of trust. The next step towards lead is to amuse them with discounts, special offers, expert advice and other interactions that can help them. After establishing the connection with leads, making funnel is one of the best ways to build trust with these leads. A good funnel carefully and slowly nurture the leads. Well written content, personalization, lead scoring, permission-based marketing, all can help to make a good funnel and make a strong bond with leads. When we think to make a reliable connection with our clients, the question arises in our minds- how to communicate with the leads? The answer is as simple as the question is. In lead nurturing, there are various ways to make a link with the prospects. There isn’t just a single way to make a connection. Here we will discuss twelve marketing channels you should be thinking about when devising your strategy. Newsletters are really helpful when your content is rich. Newsletters are used when third-party content, product tips and tricks, special offers and blog links have to send to the leads at regular intervals. If you are doing it in an efficient way, you are using an easy way to nurture your leads. Phone calls provide the easiest way for communication with the leads but it is also important what should be the right time for placing phone calls. Before this, a series of emails and text messages should make because implementing a strategy for lead nurturing phone calls is not a stand-alone solution. On the other hand, your team should determine where the phone calls are placed in the strategy. Probably, the initial stages of the lead nurturing campaigns are more suitable for this. White papers are considered as the most influential content type in lead nurturing. In this busy life, though no one has enough time to read long contents, the importance of white paper can never be forgotten. The basic purpose of white papers is to provide a summary of information to the prospects. 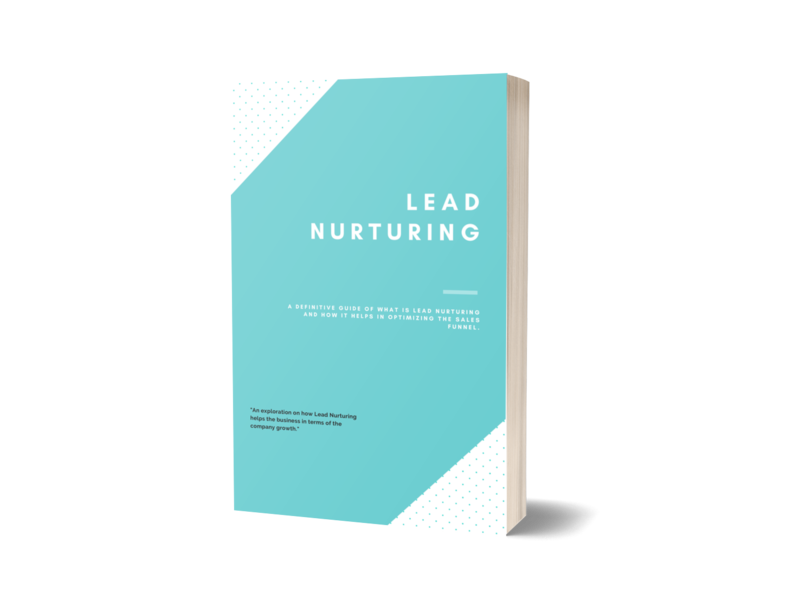 In lead nurturing strategy, you can create your own white papers or can rely on the third party for this. Once the white papers have made, you can easily use it on your website to generate leads. Thought leadership is a vital part of lead nurturing that depicts yourself as an expert. The use of social media is the oldest tool of thought leadership. In case of marketing, if you are active on social media sites, i.e., Twitter, Facebook, Quora, Pinterest, LinkedIn, post-well-formed blogs and instantly replied to the queries of other people then you are considered as an expert in marketing. People and other leads will rely on your opinions and suggestions and promote your ideas. Probably, this is one of the best tricks to attract new leads. The webinar is the primary marketing tool that can engage the prospective buyers with the company. 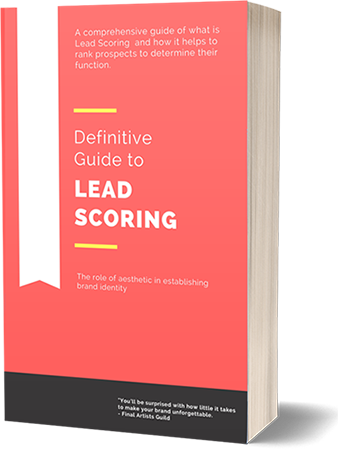 Webinar not only identifies the sales-ready leads but also increase the lead nurturing as well as marketers’ lead scoring process. It plays the important role to move prospects and opportunities faster in the purchase process. In lead nurturing, email programs are the best way to communicate with your potential leads. Emails provide a one-to-one approach to establish trust with clients. In triggered emails, you can send basic information regarding your brand, services, and packages to your customers. It is difficult to prove a point to leads without a logic or research. That’s why research-based contents strategy stands at the vital place in lead nurturing. Basically, research-based contents comprise on 4 W’s- Whose, What, Where and Why. Your research should complete enough to answer all the questions of the prospects. When qualitative and quantitative both types of research are covered and are implemented in documented strategy, it increases the overall effectiveness of the lead nurturing. According to the Gleanster Research, 50% of the leads don’t agree instantly for buying. It means, lead nurturing is a very delicate part of the sales process to agree on prospects for purchase by providing relevant contents. Every prospect has a different perspective for their desired products. That’s why your content should be admissible according to each lead. So map your contents very accurately in lead nurturing campaigns and follow it with a suitable set of emails, newsletters, feedbacks and rating. Buying cycle comprises many stages and at each stage, content mapping has equal importance, but there are four stages in which there should be not a single chance of compromising in content mapping. A vendor and a prospect must be aware of their sales and buyer journey. Leads must have full awareness of the desired product and service, and vendors must be aware of the products and services that are deficient in the stocks. Lead nurturing has changed the way of selling as done before in the past. Now, a merchant has many ways to keep in touch with the clients through emails, messages, and calls. Proper marketing campaigns are held in which vendor send the notifications of the desired products to the leads and tracked the status of their notifications. This shows the interest of leads towards the respective possessions. A lead remains update with the variations and upcoming products. This probably will change the mind of a lead to become a buyer in the future. Lead nurturing leads a business towards limitless benefits. Saving the budget that is kept for marketing campaigns and this asset is replaced by benefits-oriented emails, valued contents and segmented list using lead nurturing. Such type of gestures builds quick connections with the leads. According to a research, lead nurturing can increase 20% sales opportunities by this. A client never agrees at once for a real purchase. It often requires a long time for such a decision. When a buyer realize that a marketer is understanding his problems and will provide the best solution, then he will show some positive response. In lead nurturing, by sharing useful information, you can establish a credible and reliable relationship with the prospects. Lead Nurturing never forgets the proverb, “Out of sight-Out of mind.” That’s why it keeps engaging the vendors with their leads. Automated lead nurturing systems always play the helpful role in getting the good response and better results. Lead Nurturing enables you to understands your clients’ needs in a better way by communicating with them on regular basis. It provides a better way to identify in which thing your customers are really interested. The more you know about your leads, the more well-crafted emails you can send to them. Lead nurturing always encourage new leads generation. If you have good contents, your leads may share your work through emails. It attracts other people to visit your websites and give a chance to generate new leads. The welcome campaign is the first interaction of the prospects with the company. It is started by just signing up for the Email Newsletter followed by few welcoming emails. These welcome emails can consist of the company’s introduction, it’s products and services. This campaign is continued by sending light educational contents to leads to keep them interested in the brand. The first impression lasts. When you send a welcome newsletter to your new lead, you are leaving your first impression. This really matters how your newsletter makes a place in clients’ mind, whether he just ignores it or remember it for a long time. Such Welcome Newsletter gives a narrative glimpse about the company, user reviews, shareable trends and company’s About page. To welcome the new leads, an onboard campaign is one of the best options. This provides an introductory training resource, FAQs, timelines for product kickoffs to the new clients so that they can easily know about the company and can start by their own by learning the basics. This brings self-confidence to the prospects to start their work without any assistance. At the initial stages, all leads don’t show any purchase and sometimes the regular buyers may become inactive or show less interest. Re-engagement campaigns are for such clients who become inactive for a long time in your database. Such leads can be attracted by sending interactive contents, new white papers, helpful blog posts. In a sales process, a company always try to extend its prospects. In the competitive age, every company tries that leads are attaining information from them, not from their rivals or any third party. For such a purpose, Product-focused campaigns are established. This campaign depicts how the specific product along with its information should be represented towards the leads. In product-focused campaigns, customer testimonials, date sheets, case studies and white papers are used. Competitive campaigns are build to analyze, to what extent a company is working better than its competitors. This work includes providing the product and services to the leads. This campaign enables a company to highlight the good points of its products which makes it better from its rivals. On the other hand, it also helps to identify the weak points of the services that the company must remove to make the products desirable. When leads became your buyers, it is necessary to maintain your standing in front of your leads. For this, Industry Expertise Campaigns are established. This can be done by sending the press release, high traffic, and industry report to the leads to ensure them that your company is their right choice. Hence, it will build the company’s authority over the prospects. Promotions always amuse the prospects. That’s why promotional campaigns are build when your lead is about to show some purchase. Such promotions and discounted offers are highly helpful in the growth of the business. The discounted offers of brands at the end of the season is a tactic to increase the purchase rate of their products. Upselling Campaigns are really helpful when a company wants to extend its customers. This can be done with the continuous collaboration with the clients about the products- what type of products they need or what type of improvement they need in the product. By analyzing such things and adding new assets to your sales collection, you can increase the circle of your prospects. When a company wants to grab the attention of a lead and pursue the client to come faster along the buying circle, accelerator campaigns are used by the company. Accelerator campaigns give the best result when these are consist of demographics as well as behavioral data. Such segments in a campaign ensure that right messages are sent to the leads when an accelerator campaign is triggered. Trigger campaigns are very helpful to new and existing leads as well as non-action customers. To make the strong bond with the existing leads, trigger emails can b sent to them. This can include their birthday wishing, special occasion card or any subscription offer to make them ensure that they are among the exceptional group. Existing customers play a vital role in up-sell that’s why trigger emails are also sent to them to ask them about their feedback after a purchase. A strategy is also built in trigger campaign for those leads that never show any response. you can attract them by designing a specific email consisting of some special offers, discount deals or any free trial. Trigger emails play an important role to engage these non-action clients. To keep engage with the leads, place an email plan on the regular interval that consists of the relevant content that immediately grabs the attention of the leads. It is important to keep in mind the buyers rather than to give more time to non-action customers. In lead nurturing, both quality and quantity matters, so focus on sales-ready leads and establish an email campaign to get in touch with all that prospects. Exchanging information with the leads helps to attain the knowledge regarding their purchase behavior and way of communication. When you started a single campaign, to nurture your leads in an efficient way, it’s time for segmenting the contacts. The leads can be segmented according to the geography, lead creation and lead-source etc. When you design a strategy according to the recent interest in a high-value product and a significant quantity of the product, then this will be the perfect strategy for your content strategy. One of the best practices of Lead Nurturing is to focus on What. Your contents are complete enough to answer all the questions of the leads and also relevant to the buyer’s persona. These contents should be valuable enough to ensure a client where are they in the buyer’s journey. For example, the drip emails should be according to the buyer’s present stage of the journey. It doesn’t compel a client for an immediate purchase or avoid self-promotions. Call to action (CTA) induces the leads to take an action. These are in the form of downloading a white paper, signing up for any trial or any event etc. CTA plays a vital role in the initial stages of the lead nurturing campaigns. Because when a prospect finds any relevant content, it clicks on the page and then it demands him to sign up for getting more information. Once a lead fills that form, you have all his information and can send further emails to get in touch with that prospect. In Lead Nurturing, be strategic with your timing. Make a time chart to send drip emails to your clients. Such emails should not be sent so frequently that your contents start to differ from the real topic and clients get irritated. Sending one or two emails per week is not a good practice. On the other hand, don’t put a long gap between the communication with your leads so that they are attracted by your competitors. According to the author of Marketing Automation for Dummies, Mathew Sweezey, that drip emails should be sent every six to forty-five days.